Here is the front page story of this weeks ECHO newspaper (click on the image to download a PDF version of the story). 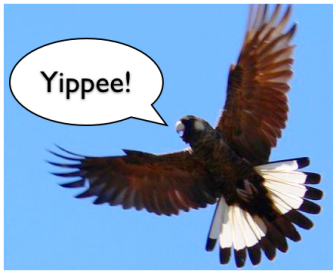 Sarah Brookes documents the reactions of Kalamunda Shire President Donald Mckechnie, The Wattle Grove Action Group and landowner Ross Leighton to the Minister for Planning’s decision to not approve the rezoning application of 32 Gavour Road, Wattle Grove. 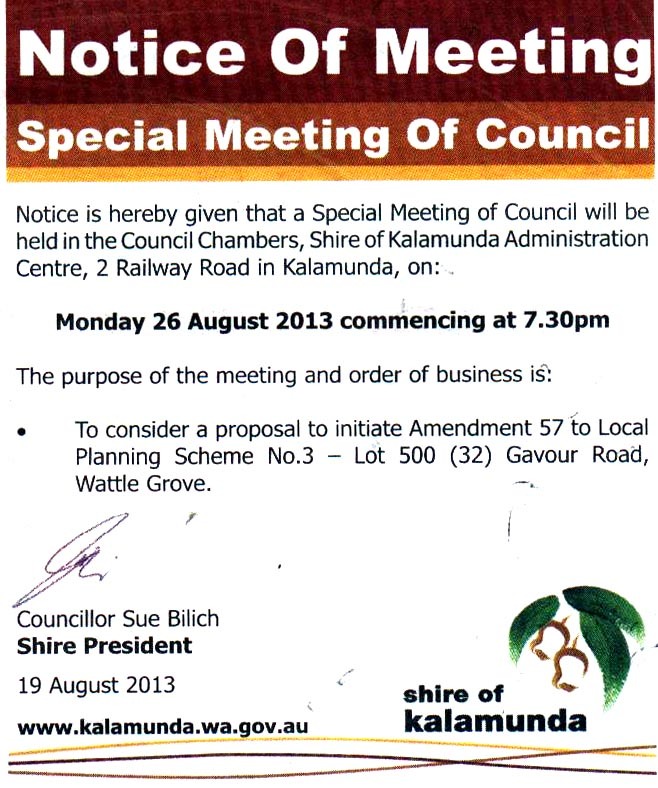 Shire of Kalamunda, a Home in the Forest? I have one word to describe the Special Council meeting that was called to adopt the Local Planning Strategy tonight: Mindless. Social psychologist Ellen Langer states that when an individual is mindless their thinking is dominated by a narrow perspective, they rigidly rely on narrow categories and fail to take into consideration different perspectives. Never before have I seen so many councillors mindlessly pass a strategy that will dramatically impact on the natural environment, my community and future generations. It became apparent at tonight’s meeting that the councillors had had only 3 days to look at the revised strategy, accompanying documents and compiled submissions, some noting that they hadn’t even had time to look at them. And yet, they were quite confident in their decision to vote on passing the Planning Strategy. The fact that there were 188 objections to rezoning Wattle Grove, 25 supporting and 7 neutral did not seem to make any difference to these mindless councillors. 11 out of 12 councillors voted for the strategy to be adopted. Very little debate between councillors took place tonight. 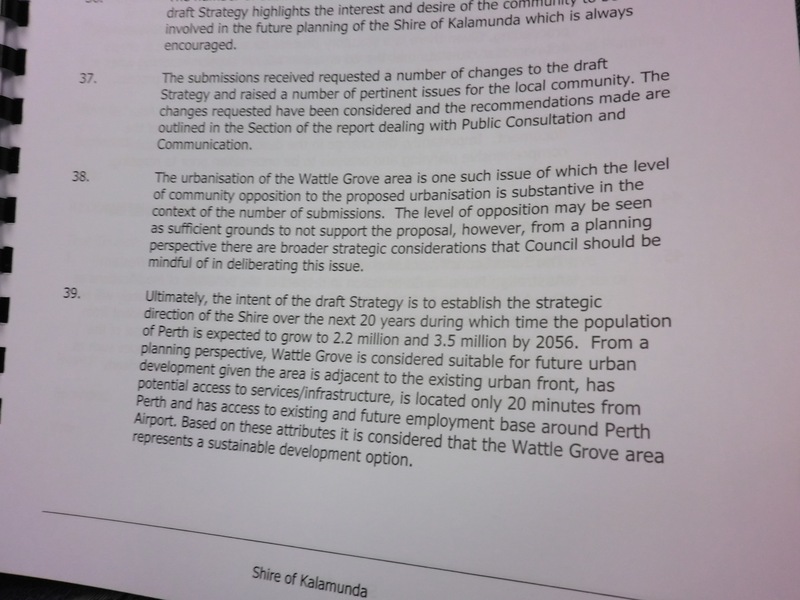 All councillor Stallard had to say on the matter of Wattle Grove becoming an urban development area was that “We can’t stop progress” and “If we don’t do it, someone else will do it”. Really deep. The 1 councillor who opposed the strategy, Maureen Robinson, was not mindless. In fact, she was the complete opposite. She spoke passionately and authentically for the residents of Wattle Grove. You could tell she had taken the time to look through the revised Planning Strategy and really think about it. She questioned why the council is rushing into making such dramatic changes and moving to rezone for a population prediction for the year 2056. Most importantly, she highlighted that the most important thing that came out of the “community consultations” was that residents wanted to retain their home in the forest. Yet, the planning strategy that was adopted tonight is the beginning of the destruction of the trees and the biodiversity of our area. They can keep repeating the word “sustainable” and “sustainable growth” but we are not stupid. Do you really think that you can change the zoning of an area to include more houses, more people, more electricity, more cars, etc and you’re not going to have an impact on the environment or community? The sad thing is that it no longer surprised or shocked me to see developer Ross Leighton being very familiar and chatting with the councillors. At what point did our shire councillors stop listening to the people they are supposed to represent and only take into account the wishes of a vocal minority? One thing is for sure, we need to reclaim our Shire. 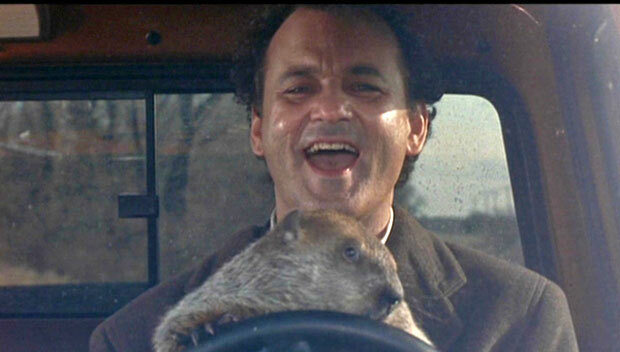 It’s going to take something, but it must be done.